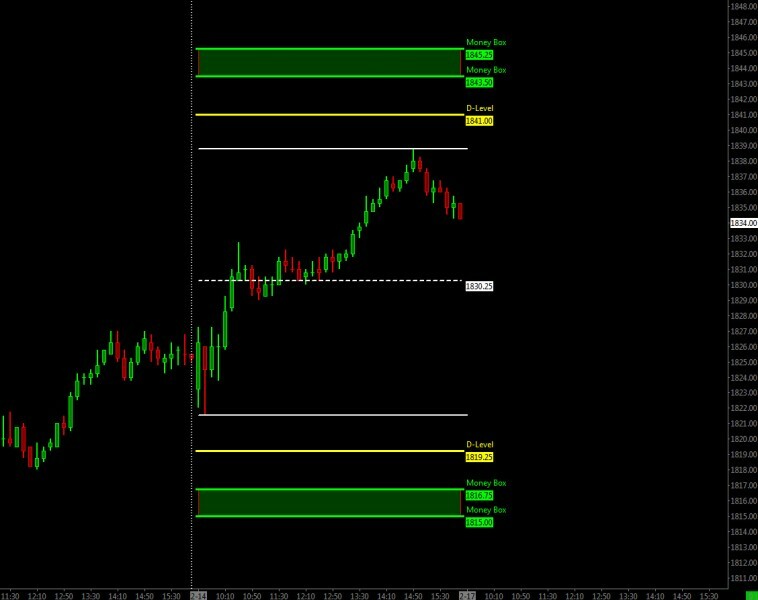 The DLMB measures Fibonacci Range Extensions based upon the prior days range automatically as well as the “next days” range. This provides the trader with very accurate price targets from which to plan if price penetrates the prior days high or violates the prior days low. These levels are used primarily as targets, but also as “key support and resistance” levels from which to use as trade entry points.